Our experienced outreach team work in schools to support teaching and learning. We specialise in recruiting, placing and supporting qualified and experienced SEND staff in your school. 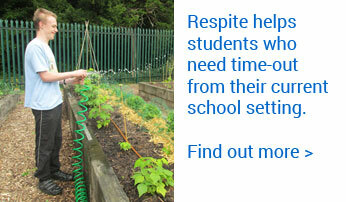 We support children with special educational needs aged 4-18. Our SEND support staff work with children with a variety of needs including; language acquisition and development, challenging behaviour, autism, visual impairment and hearing impairment. The principles of attachment theory underpin our approach and our SEND support staff strive to build trusting relationships with the children they support. We encourage and motivate pupils to learn, working in collaboration with school staff and parents/carers to achieve the best possible outcomes. Our SEND support staff appreciate that challenging behaviour is a form of communication and they have acquired a unique set of skills to enable them to effectively support children with emotional, social and mental health needs. Each school is different. Each child is unique. To get the best outcomes for pupils we create a support plan that is tailored to the school and to the child we work with. We take time to meet with staff from every school and listen to each case independently. This allows us to create a bespoke, personalised support package based on individual outcomes which includes target setting and regular reviews.